Anyway..as I said befor e I hvae a soft spot for TVXQ and as I guess most of you know they are going to relese tre singles in the next two months^^ Happy!! 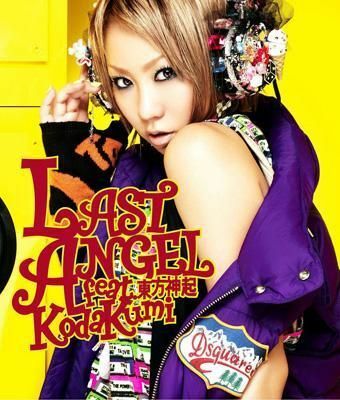 Last Angel: First one is a collabiration with the Japanese singer Koda Kumi and I totaly love the song! It’s exactly my style!! And I’m both suprised and happy to hear how good her voice matches my boys^^ It’s an uptempo song with a really nice party sound, in my opinon. I hope it goes to the top on Oricon but with NEWS releasing a song on the same day, I doubt it I’m afraid…It’s going to be released on November 6th. And finally Together. Pure love. This song is also a theme song for a sanrio movie and it’s so sweet!! Like sugar!! It’s so happy! Well maybe a little to happy but who cares lol. Realese on dec 18.